High-quality, meaningful wear data are critical for successfully pursuing implant approval, production and continued development. For spinal wear testing, MDT utilizes an MTS Bionix Spine Wear Simulator. The MTS Bionix Spine Wear Simulator was the first wear system on the market designed specifically for spinal applications and it enables us to perform highly accurate, long-term wear, fatigue and durability simulations on both lumbar and cervical spinal disc implants. The system provides precise, repeatable application of loads and motions to adhere to the ISO 18192-1&2 and ASTM F2423-11 test standards. Loads, motions and cycles are controlled and recorded with detailed time histories, providing the body of knowledge needed for regulatory submittals. 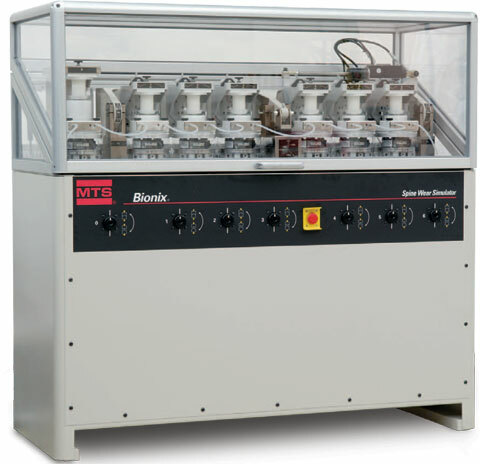 The system features user-friendly specimen containment modules, a series of high-performance mechanisms to deliver motion in six degrees of freedom and devices to accurately control fluid concentration and temperature. The MTS Bionix Spine Wear Simulator features six active specimen–containment modules to provide a statistically valid sample size. 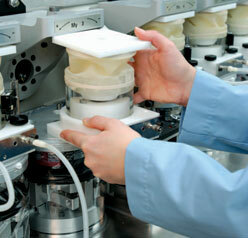 Made of Delrin, each containment module is removable and can be disassembled for specimen preparation and cleaning. Locator pins guide each module into position to facilitate easier installation. 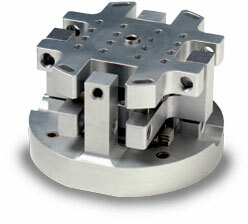 Containment modules can accommodate both one-piece and two-piece spinal implants. The MTS Bionix Spine Wear Simulator delivers six degrees of freedom. Hydraulic actuation enables precise control in four active degrees of freedom to handle both high- and low-force loads. Dedicated actuators actively apply flexion/extension, lateral bending and axial rotation motions uniformly across all six specimens. Axial loads are actively and evenly applied across all containment modules. The X-Y translation platform passively accommodates motions in the remaining two degrees of freedom. Featuring an ultra-low-friction design, the translation platform eliminates anterior/posterior and lateral forces on specimens, ensuring simulation precision. 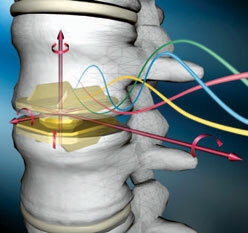 The translation platform is easily configured to simulate soft tissue surrounding an implant, or to show how a device might perform if implanted in a less-than-ideal location in the spine. Simulation temperature is maintained by circulating temperature controlled water through a closed heat exchange system. This keeps water out of contact with the specimen and test fluid. This methodology is used to maintain all modules at 37°C. 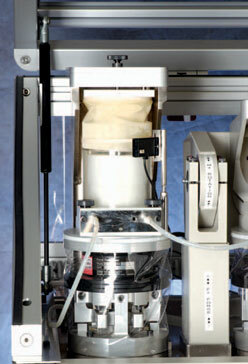 A load soak control module accommodates up to two control specimens that undergo load conditions without motion. A fluid-level sensing capability also alerts operators when fluids drop below predetermined levels for each specimen module, reducing the need for manual monitoring. Contact us with your spine wear test requirements and we will provide an estimate for creating the desired test you are looking for.